Your support helps our Heart Health teams perform everyday miracles. Every year, over 200,000 Vancouver Island residents undergo cardiac assessments, and more than 6,300 cardiac procedures are performed through Royal Jubilee Hospital’s Heart Health program. Over the past 30 years, the Heart Health program at Royal Jubilee Hospital has grown into a national leader and pioneer in cardiac care. The medical team has forged a culture of excellence and innovation that allows patients to quickly receive the most up-to-date procedures, recover faster and go home to their families sooner. The program has attracted physicians from around the world and turned Royal Jubilee Hospital into a referral centre for cardiac patients throughout Vancouver Island and across British Columbia. 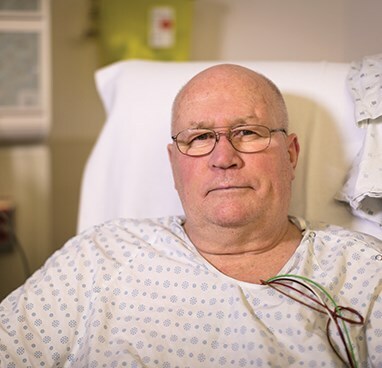 While many attest to the uncertainty and hardship that accompany news of a cardiac condition, our patients take comfort knowing they have access to a world-class cardiac program in Victoria. Ever wonder where you would be treated for a heart condition? That would be Royal Jubilee Hospital — Vancouver Island’s referral centre for cardiac care. Every year, the Heart Health program oversees 3,500 inpatient cases annually, with half from outside Greater Victoria. The Heart Health program administers to all cardiac needs, with the exception of heart transplants. Every year, almost two dozen talented cardiac physicians and hundreds of specially-trained caregivers perform hundreds of cardiac procedures. 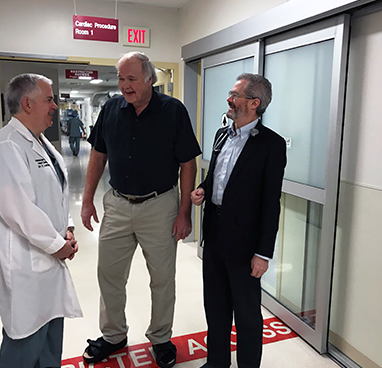 In 2018, this dynamic program celebrated its 25,000th open-heart surgery — a monumental milestone. With the latest equipment, the Heart Health program will continue to provide the highest quality care while continually elevating cardiac care standards. With your donation to cardiac care, we can invest in equipment that supports our team as they continue to deliver the highest possible care. From October 2017 to March 2018, our donors came together to fund 34 pieces of leading-edge equipment in seven different areas of cardiac care.